20 primitive camp sites available with bath & shower access in banquet hall. Commercial kitchen access. Camping only available seasonally and we do not rent to separate parties when the Big Barn Main Lodge and Blanche House are rented exclusively. Available with rental of Main Lodge & Blanche House. 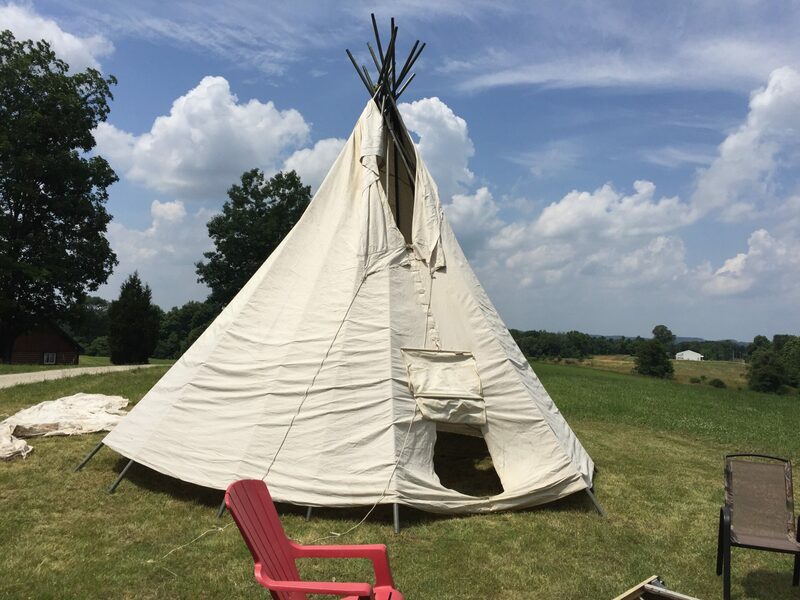 Camping is always available for individuals during other exclusive rentals or events. Please inquire. The Red Shed is a primitive camp site shelter from a 1865 re-assembled cabin. Access to Main Lodge banquet hall guest lounge, baths, and showers with rental with reservation. 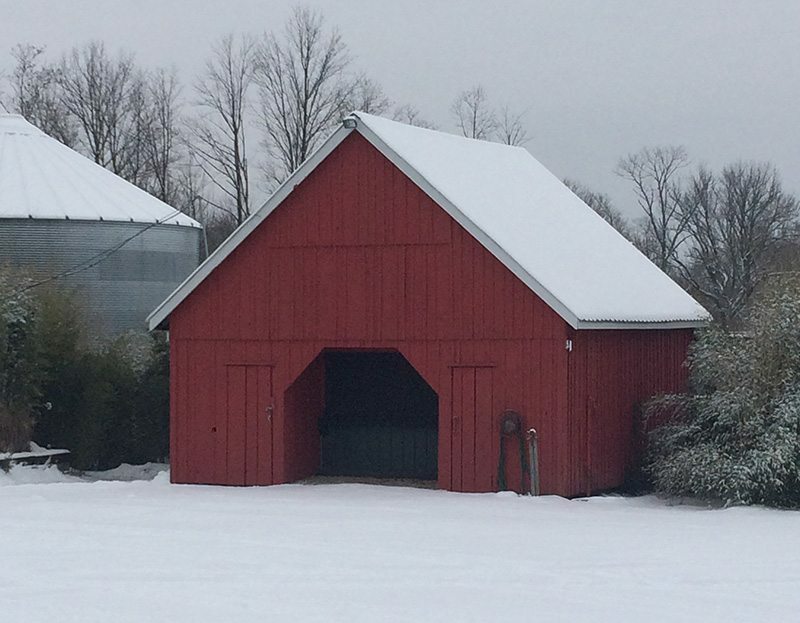 The Red Shed is only available seasonally and we do not rent to separate parties when the Big Barn Main Lodge and Blanche House are rented exclusively. Also available with rental of Main Lodge & Blanche House. Not available always available separately. Please inquire. RV Sites – Full electrical hook-up, access to men’s/women’s bath & showers, gym. 2 sites available. Only available to groups renting the Main Lodge and Blanche House during exclusive rentals. Please inquire. 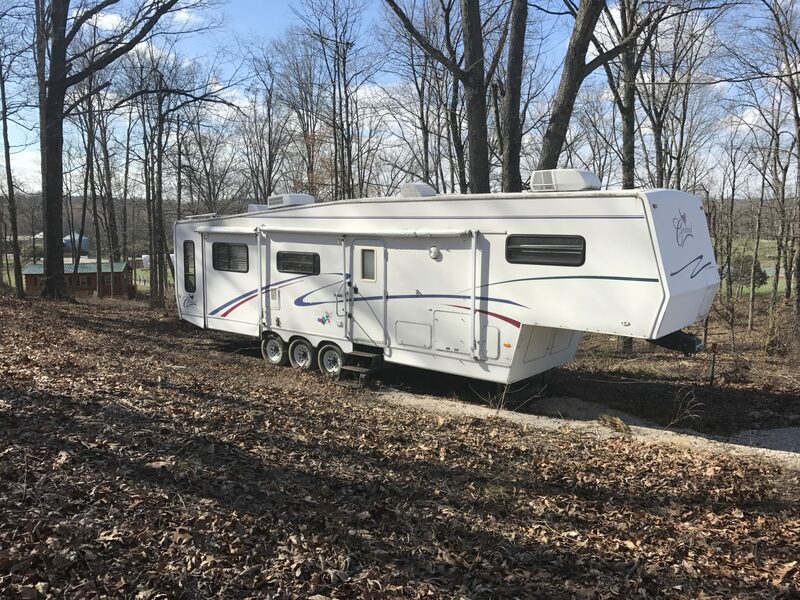 Ask about our Cardinal Fifth Wheel located in a wooded lot behind the Little Cabin. Available seasonally. Permanent electric and water line plus wifi. Primitive camping to “Glamping” Glamour Camping. $75.00 nightly for individual guests when property is available. $40.00 for RV hook-ups to overflow guests of Main Lodge & Blanche House Renters. Exclusive during a group rental. Exclusive RV spots or groups may inquire. Primitive Tent Camping – access to bath/showers and group lodge. Ideal for groups, family reunions, scouts, & church groups. $750.00-1,250.00 nightly. Pricing and packaging subject to change based on seasonality, holidays, length of stay or special events. Additional per person charge for overnight groups over 35 persons. Please inquire. Tent camping is reserved to groups who rent Main Lodge and Blanche House during exclusive rental periods. Please call to inquire.